The White House announced July 27, 2018, that Air Force Tech. Sgt. 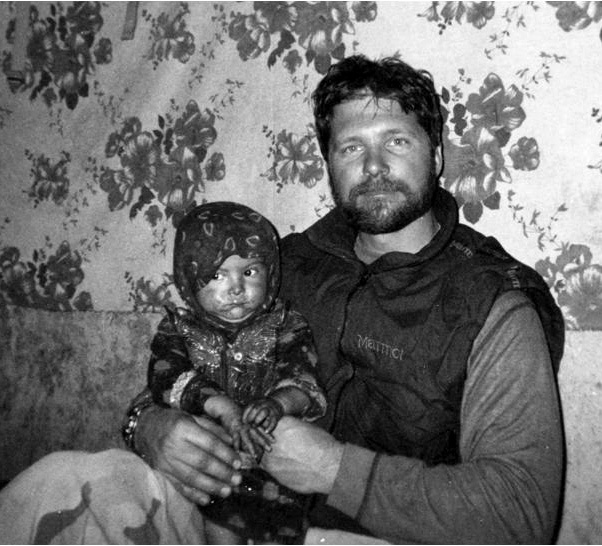 John Chapman will be posthumously awarded the Medal of Honor Aug. 22, for his extraordinary heroism during the Battle of Takur Ghar, Afghanistan, in March 2002. According to the Medal of Honor nomination, Chapman distinguished himself on the battlefield through “conspicuous gallantry and intrepidity,” sacrificing his life to preserve those of his teammates. According to friends and family, Chapman had a tendency to make the difficult look effortless, and consistently sought new challenges. Dating back to his high school days, he made the varsity soccer squad as a freshman. Also an avid muscle-car enthusiast, he rebuilt and maintained an old Pontiac GTO. Combat control training is more than two years long and amongst the most rigorous in the U.S. military. Only about one in 10 Airmen who start the program graduate. From months of rigorous physical fitness training to multiple joint schools — including military SCUBA, Army static-line and freefall, air traffic control, and combat control schools — Chapman is remembered as someone who could do anything put in front of him. Tech. Sgt. 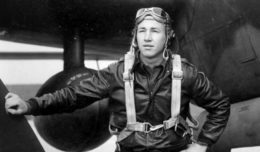 John A. Chapman, shown at the rank of E-4 sergeant, will be the 19th Airman awarded the Medal of Honor since the Department of the Air Force was established in 1947. “One remembers two types of students — the sharp ones and the really dull ones — and Chapman was in the sharp category,” said Ron Childress, a former Combat Control School instructor. Combat Control School is one of the most difficult points of a combat controller’s training program, from completing arduous tasks without sleeping for days, to running miles with weighted rucksacks and a gas mask. “During one of his first days at Combat Control School, I noticed a slight smirk on his face like [the training] was too simple for him … and it was,” said Childress. 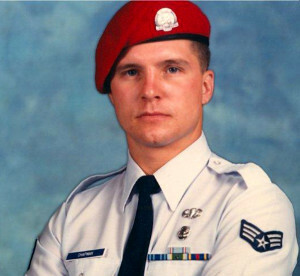 Following Combat Control School, Chapman served with the 1721st Combat Control Squadron at Pope Air Force Base, N.C., where he met his wife, Valerie, in 1992. They had two daughters, who were the center of Chapman’s world even when he was away from home — which was common in the combat control career field. As a combat controller, Tech. Sgt. John A. Chapman was trained and equipped for immediate deployment into combat operations. 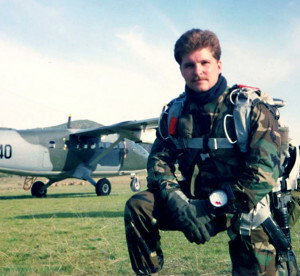 Trained to infiltrate in combat and austere environments, he was an experienced static line and military free fall jumper and combat diver. In conjunction with Operation Anaconda in March 2002, small reconnaissance teams were tasked to establish observation posts in strategic locations in Afghanistan, and when able, direct U.S. air power to destroy enemy targets. The mountain of Takur Ghar was an ideal spot for such an observation post, with excellent visibility to key locations. For Chapman and his joint special operations teammates, the mission on the night of March 3 was to establish a reconnaissance position on Takur Ghar and report al Qaeda movement in the Sahi-Kowt area. During the initial insertion onto Afghanistan’s Takur Ghar mountaintop on March 4, the MH-47 “Chinook” helicopter carrying Chapman and the joint special operations reconnaissance team was ambushed. A rocket propelled grenade struck the helicopter and bullets ripped through the fuselage. The blast ripped through the left side of the Chinook, throwing Navy Petty Officer 1st Class Neil Roberts off the ramp of the helicopter onto the enemy-infested mountaintop below. The severely damaged aircraft was unable to return for Roberts, and performed a controlled crash landing a few miles from the mountaintop. 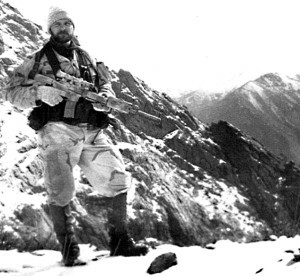 Thus began the chain of events that led to unparalleled acts of valor by numerous joint special operations forces, the deaths of seven U.S. servicemen and now, 16 years later, posthumous award of the Medal of Honor to Chapman. Air Force Tech. Sgt. 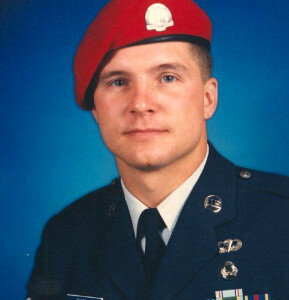 John A. Chapman will be posthumously awarded the Medal of Honor. 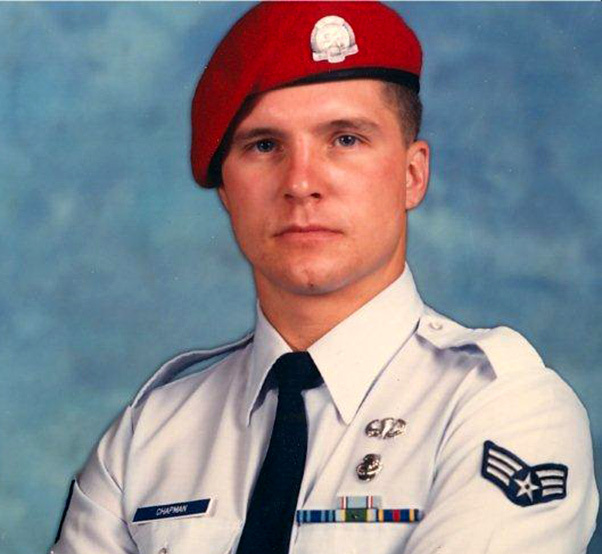 Chapman, a combat controller, will be the 19th Airman awarded the Medal of Honor since the Department of the Air Force was established in 1947. He will be the first Airman recognized with the medal for heroic actions occurring after the Vietnam War. Miraculously, the helicopter, although heavily damaged, was able to successfully offload the remaining special operations team members and return to base. Chapman, upon exiting the helicopter, immediately charged uphill through the snow toward enemy positions while under heavy fire from three directions. Almost immediately, the team began taking machine gun fire from another fortified enemy position only 12 meters away. Chapman deliberately moved into the open to engage the new enemy position. As he heroically engaged the enemy, he was struck by a burst of gunfire and became critically injured. Fallen Air Force Combat Controller Tech. Sgt. John A. Chapman will be posthumously awarded the Medal of Honor, August 22, 2018. The Medal of Honor is the highest award for heroism in military action that the nation can bestow on a member of its armed forces. Chapman regained his faculties and continued to fight relentlessly despite his severe wounds. He sustained a violent engagement with multiple enemy fighters, for over an hour through the arrival of the quick reaction force, before paying the ultimate sacrifice. In performance of these remarkably heroic actions, Chapman is credited with saving the lives of his teammates. 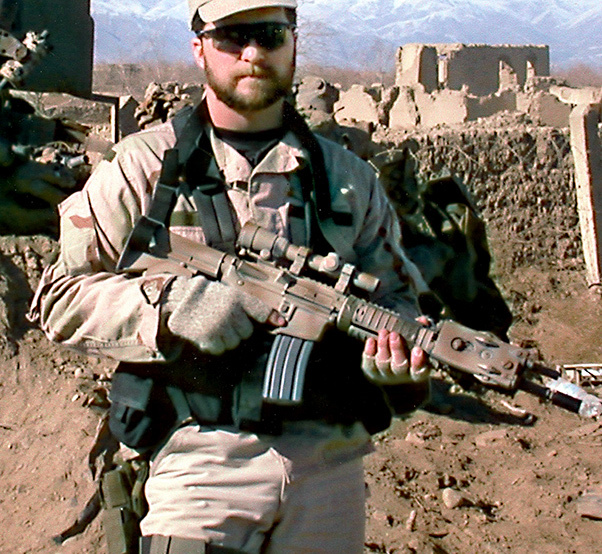 Chapman was originally awarded the Air Force Cross for his actions; however, following a review of Air Force Cross and Silver Star recipients directed by then-Secretary of Defense Ash Carter, the secretary of the Air Force recommended Chapman’s Air Force Cross be upgraded to the Medal of Honor. In accordance with Air Force policy whereby Medal of Honor recipients are automatically promoted one grade on the first day of the month following the award, Chapman will be posthumously promoted to the rank of master sergeant on Sept. 1, 2018. Although Chapman will be awarded the Medal of Honor, family and friends have expressed his humility and how he would react today, if he were here. His widow, Valerie Nessel, has always known her husband was capable of such greatness, but asserts that John wouldn’t be anxious to be in the spotlight. “I think he would say that his Medal of Honor was not just for him, but for all of the guys who were lost,” she added. “John would have, so I’ll say it for him. Every American who set foot on that mountaintop acted with great courage and selflessness, and deserves all of our praise and admiration for the sacrifices they made,” said Rodriguez.